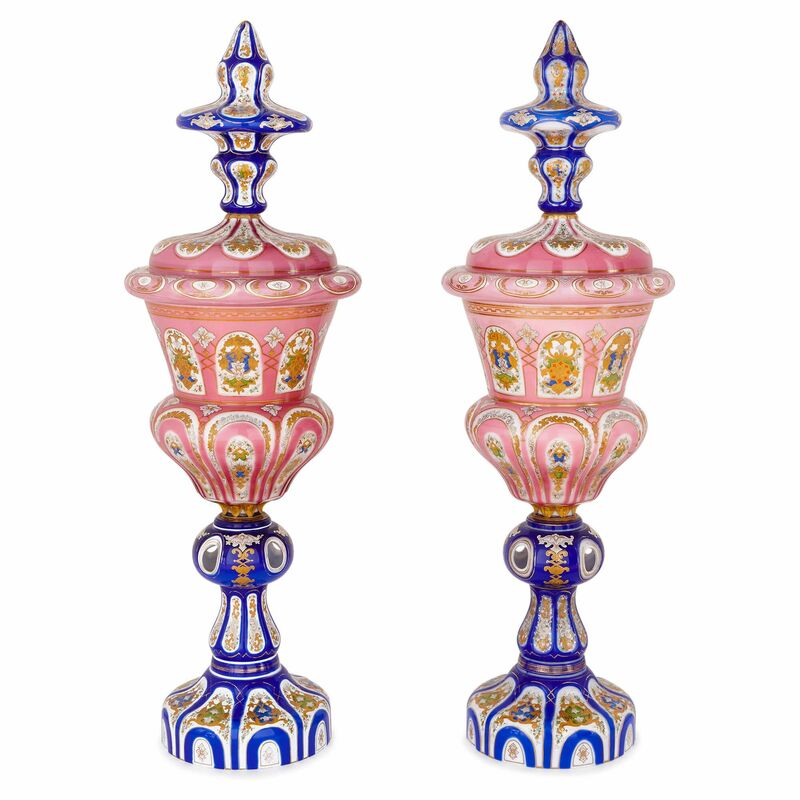 These magnificent vases are true masterpieces of Bohemian design, featuring detailed parcel gilt overlay of exquisitely fine craftsmanship. 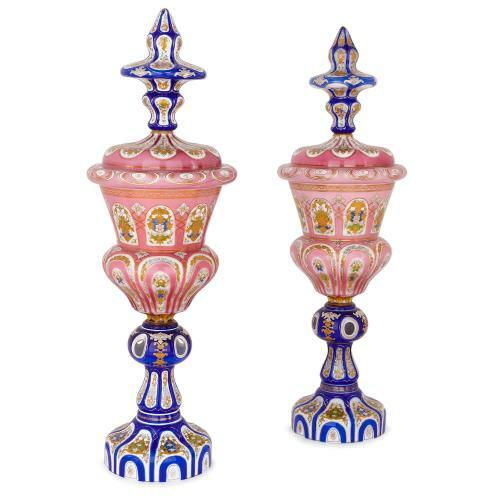 These vases, exceptionally large in size and wondrously decorated, are crafted of opaque Bohemian glass and extensively decorated with a pink and blue ground overlay. 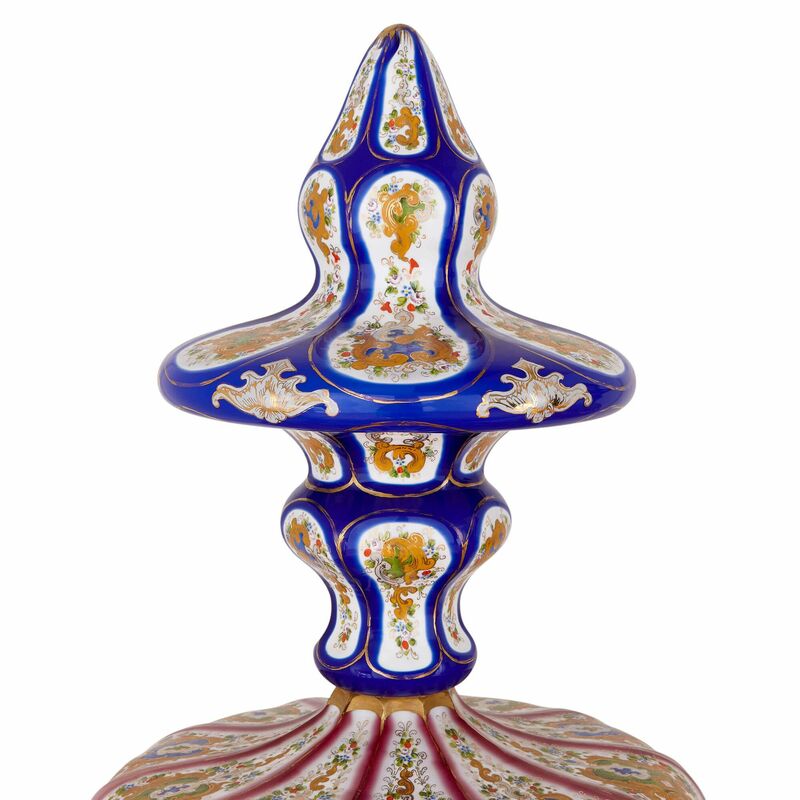 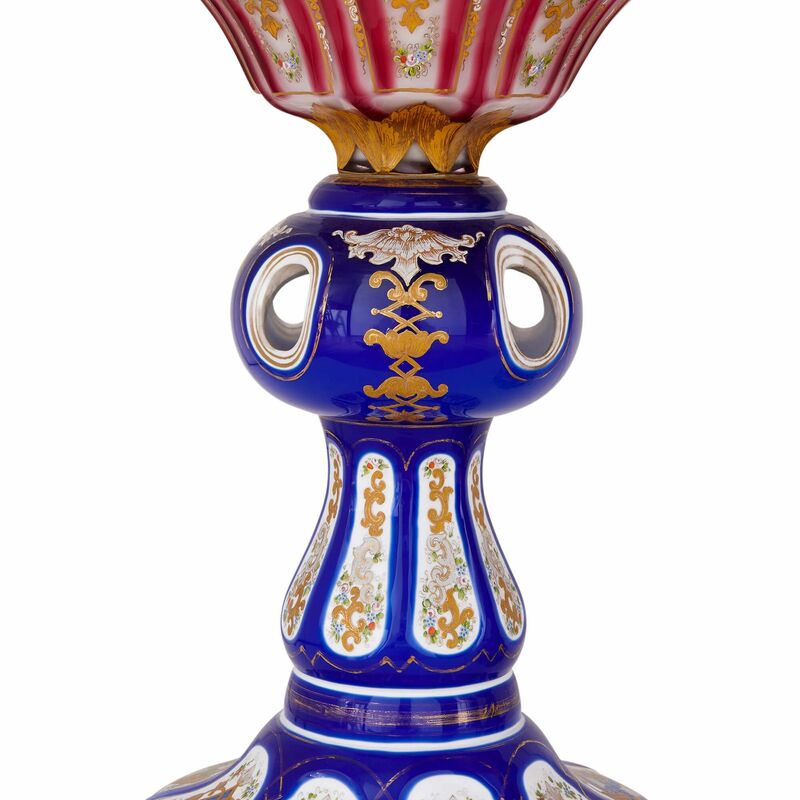 The vases are set upon circular bases and bulbous supporting columns that are decorated with a marine blue ground which is overlaid onto a white base. 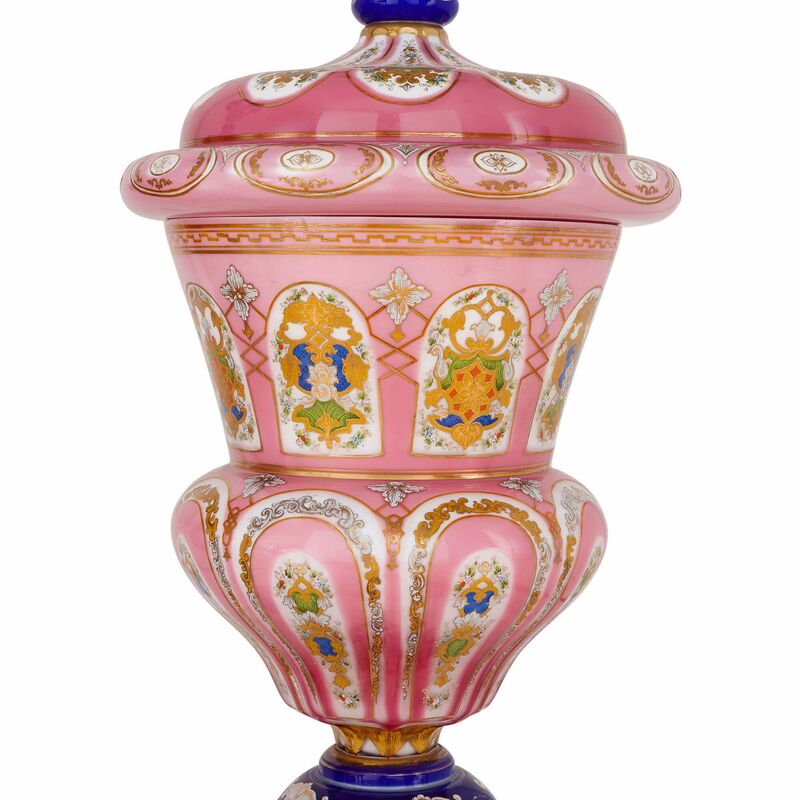 The large, central bodies of the vases feature curved, protuberant lower sections and a tapered and lipped upper section, which is decorated with a pink ground. 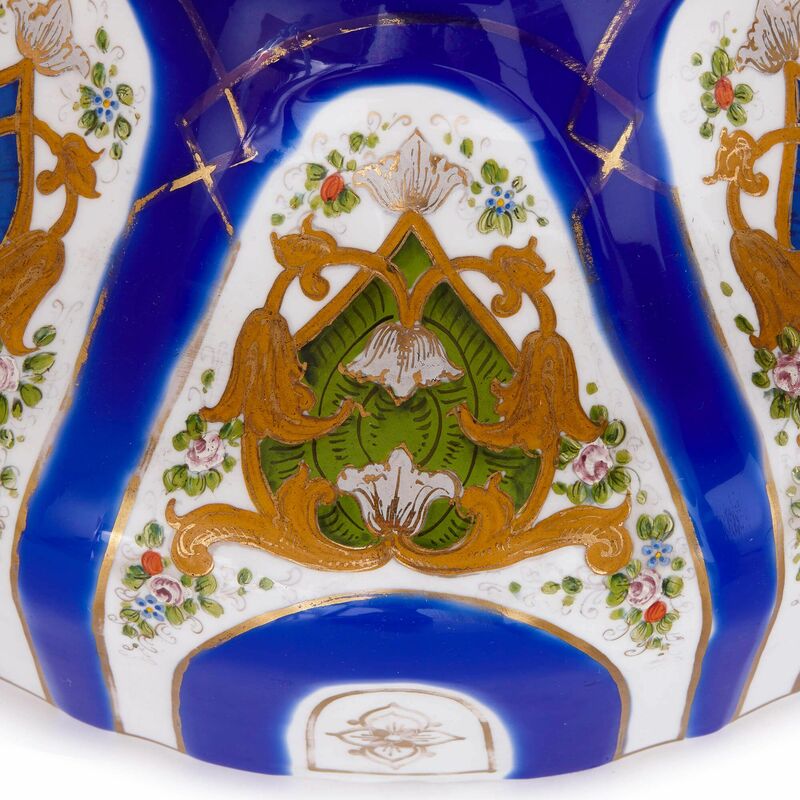 The undulating, ribbed necks and pointed covers are decorated with a blue ground. 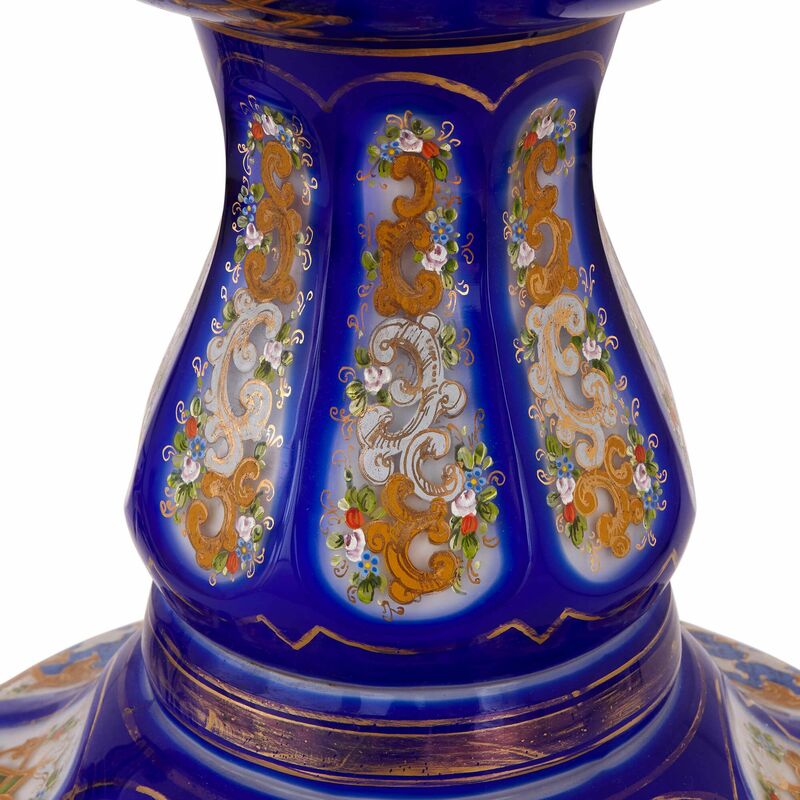 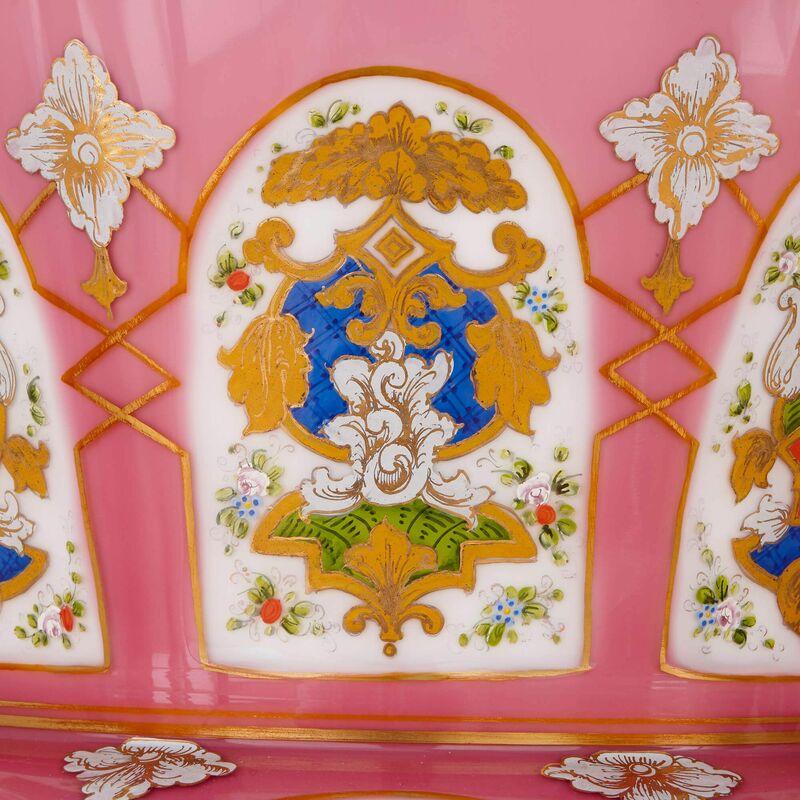 The vases feature beautifully intricate parcel-gilt details of flowers and heraldic crests all over, which perfectly compliment their delicate decorations. The vases, as a pair, would make an unusual and very fine decorative addition to any well-appointed interior.